It may be a well worn cliché that one swallow doesn’t make a summer – but Ashington’s second win in 2019 against high-flying Stockton Town at Woodhorn Lane on Saturday was a massive result as the end of the season closes in. The fully-merited win lifted the Colliers out of the bottom three – three points above Guisborough Town, who have two games in hand – and Whickham, but has given the Wansbeck side a new belief that they can steer clear of the drop zone even if it appears that only one side at most are going to be relegated into the Ebac Northern League’s second division. 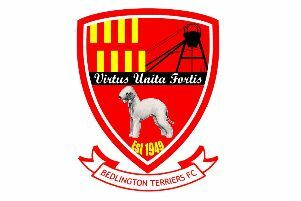 Interim manager Ian Skinner began his reign with a 5-3 success over Guisborough back in January but has seen his side on a downward spiral which culminated in a recent run of seven defeats in eight matches. 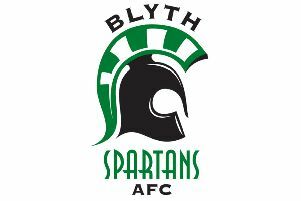 However, on Saturday, it was like chalk and cheese as Skinner – who made six changes to the side which lost against Whitley Bay – saw his outfit dominate the first half and then have opportunities to put the game out of sight before nervously clinging on towards the end of the clash. Two top drawer finishes from teenager Thomas Kalthoeber and a stunning free kick by club captain Wayne Buchanan had sent the Colliers in at the interval holding a 3-1 lead but when Stockton skipper Adam Nicholson cut the deficit back to 3-2 with 25 minutes of normal time remaining, it set up a cat and mouse type contest. Then after seven-plus minutes of time added on, the final whistle sparked off joyous celebrations. The Woodhorn Lane side bossed the play from the start and got their noses in front after only eight minutes. Ben Sampson sent over a delicious inviting cross from the right which had pace on it for Kalthoeber, who planted a header beyond the fingertips of keeper Michael Arthur into the top corner. The goal had the crowd on their feet and on the quarter hour, they were standing again to acknowledge the second from Buchanan. Kyle Downey, making a return to the line-up after five months on the sidelines through injury, was fouled 25 yards out and Buchanan stepped forward to curl a brilliant right-footer between the angle of post and crossbar. Max Craggs and Nicholson both struck a post as Stockton tried to rally. Stockton reduced the leeway in the 44th minute through Nicholson. Ashington failed to clear a corner and when the ball was played down the right, Nicholson squeezed a crisp right-footer between Grant and the near post. However, Ashington’s riposte was to restore their two goals advantage within 60 seconds. North headed on a free-kick by Buchanan and the ball dropped nicely to Kalthoeber who struck home on the volley from six yards wide into the bottom corner. In the second half, Nicholson headed home superbly from a diagonal cross to make it 3-2 after 64 minutes. It was still an open contest, chances went begging at both ends, but there were no further goals. On Saturday (March 30), Ashington take on Bishop Auckland in their final home match of the season (3pm).